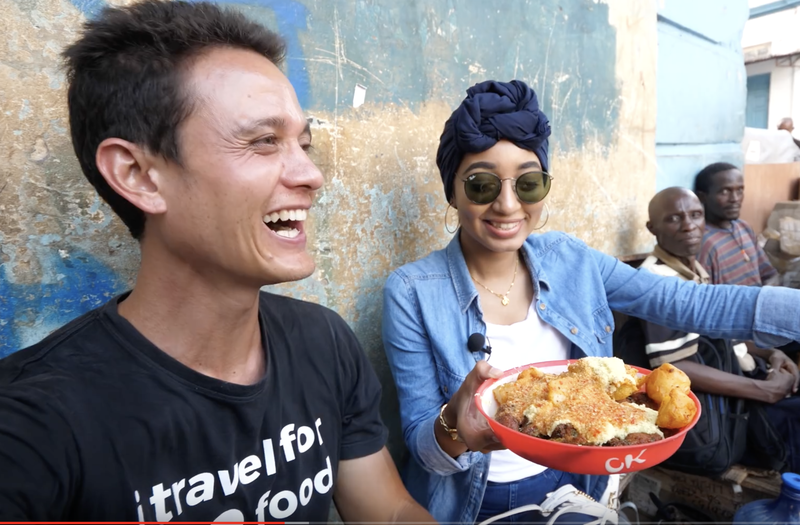 Food and travel vlogger Mark Wiens recently traveled to Mombasa, and was able to meet up with Farhana Oberson who specialises in travel and culture vlogging in Africa. She takes Mark on an incredible street food tour of Mombasa, Kenya. First, they eat a variety of fried cassava and chips, with roasted sweetcorn and fresh coconuts. Next, they head into the heart of Mombasa to eat from a roadside shop selling a mixture of bhajias, fried potatoes, and fried chilies. This is legendary street food in Mombasa, according to Mark and Farhana. Much of the food in Mombasa is a mix of cultures from around the world. You might even recognize some items as very similar to Indonesian food.